Every year on the fourth of February, World Cancer Day “empowers all of us across the world to show support, raise our collective voice, take personal action and press our governments to do more. World Cancer Day is the only day on the global health calendar where we can all unite and rally under one banner of cancer in a positive and inspiring way.” The theme of World Cancer Day 2019 is #IAmAndIWill. The theme is meant to inspire the fact that no matter who you are; you have the power to reduce the impact yourself. 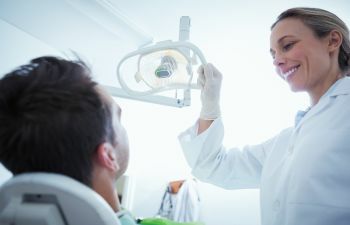 Did you know that Gwinnett Family Dental Care is actively trying to reduce the harmful impact of oral cancer on all our patients as part of our comprehensive general dentistry exams? Every time you come in for your routine dental checkup, we examine your mouth for signs of oral cancer to catch it early. The earlier oral cancer is discovered, the more effective treatment can be. If you have concerns about oral cancer contact Gwinnett Family Dental Care today. We will schedule you for a consultation and give you a comprehensive dental exam, which includes mouth cancer tests. We are here to help do our part in the fight against cancer.